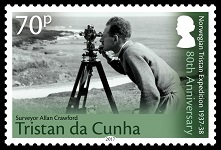 This set of stamps commemorates the 80th anniversary of the Norwegian scientific expedition to Tristan in 1937-1938. 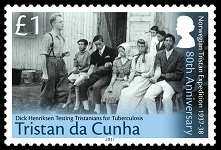 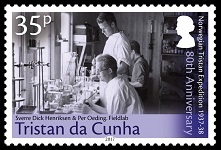 This set of stamps commemorates the 80th anniversary of the Norwegian scientific expedition to Tristan da Cunha in 1937-1938, led by the botanist Erling Christophersen. 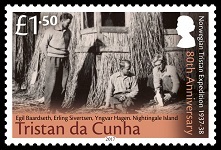 The stamp designs show members of the expedition at work on the island.